A day after the first loaded freight train crossed the Bogibeel Bridge on Sunday from Rangapara North Junction to Tinsukia, another freight train with loaded wagons for Farakka left New Tinsukia Junction which is in the southern side of the Brahmaputra and crossed the Bogibeel Bridge on Monday. According to Northeast Frontier Railway (NFR) sources, as a trial run on the Bogibeel Beel over the Brahmaputra, a freight train with FSTP BOXN coal load (58 wagons) left New Tinsukia Junction on Monday for Farakka in Murshidabad district of West Bengal. The train on Monday started its journey at 6:50 am and reached Rangapara North Junction at 3:30 pm via Bogibeel Bridge. This was the first-ever loaded train which crossed the Bogibeel Bridge from the southern side of the Brahmaputra. 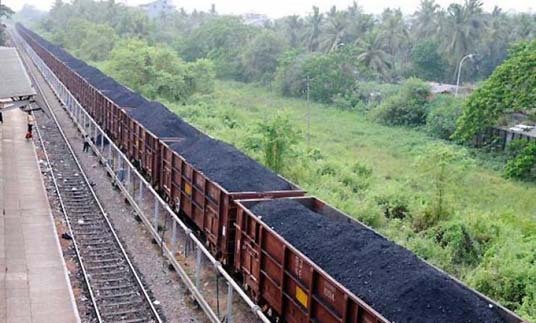 NFR official sources also informed that the gross weight of the train was 4893.30 metric tons and the net weight of the coal was 3607.8 metric tons. It may be mentioned that the first freight train with IOGS BTPN (Bogie Tank wagons for loading of Petrol, Naphtha & other Petroleum products) wagons (50 tanks load) starting journey from Rangapara crossed the Bogibeel Bridge on Sunday in the afternoon from the northern side (Dhemaji) and reached Tinsukia. According to NFR sources, it was a trial run ahead of the inauguration of the bridge. NFR sources also revealed that the IOGS BTPN loads (50 tank load) meant for Digboi Refinery left Rangapara North Junction at 7:45 am on Sunday and reached New Tinsukia Junction at 3:05 pm via Bogibeel Bridge and reached Tinsukia at 5:15 in the evening. Earlier, a boggy open small type (BOST) train with 45 wagons (without load) crossed the Bogibeel Bridge on Saturday. NFR sources informed that the BOST train which started its journey on Saturday at 9.45 am from Tinsukia via Dhamal Gaon in Dibrugarh on the south bank of the Brahmaputra and successfully reached Tengani Railway Station near Bogibeel on the north bank. The BOST train had reached Rangapara North Railway Junction on Saturday at 6 pm. After successful trial run of loaded freight train from the both sides, the now railway authorities will run passenger train on trial basis soon, NFR sources said.